Angelica earrings offer a simple yet sophisticated look. 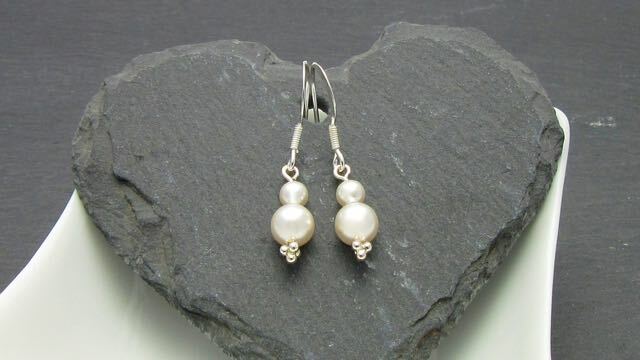 The single pearl design has one single 6mm shimmering Swarovski pearl which gently hangs from sterling silver ear hooks, and a decorative sterling silver cluster finishes the design beautifully. The small drop measures approximately 12mm. These earrings will be worn time after time. 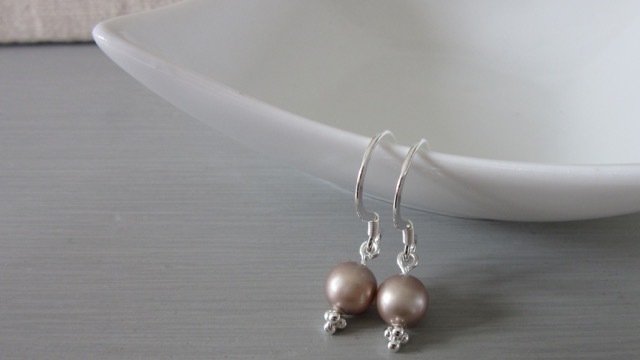 Angelica twin pearl earrings have an extra 4mm pearl giving a twin pearl drop earring. These earrings measure approximately 17mm length. Angelica Single Pearl measures 12mm in length by 6mm wide. Angelica Twin Pearl measures 17mm in length by 6mm wide. If you love these, but would like some custom changes, a bespoke piece might be just the thing for you. Feel free to send me an email.